For the fifth year running my label will be on the in FASHFEST catwalk. Tickets are available from the FASHFEST website. Karen Lee is on the catwalk on Saturday, 30 September - second show. Recently I was having a conversation with someone interested in fashion and FASHFEST came up. I was asked if I was participating this year and, if so, how many garments I would be showcasing on the catwalk. My initial answer was 12 since that is the number of models I have asked for. Then I had a rethink and changed by answer to ‘Actually I’m not sure’. Here’s why I changed my answer. A model wears an outfit not a garment, and an outfit can consist of more than one garment. So answering the question, 'how many garments there will be', is hard to answer. As a designer, the answer is in the design process and the look I’m aiming for. A model wears an outfit which can be one garment or as many five garments. When you think about it, one outfit can include leggings, a skirt, top, vest, jacket and scarf (which is six garments). Now add in accessories—shoes, a hat, gloves, bag, jewellery. It’s no wonder designers stress! It is scary when I start doing the math. Twelve models x five garments to create one outfit? Well, that’s a potential 60 garments for one event! Aside from getting the garments designed and made, an added layer of complexity is the logistics of getting the 60 garments to dress rehearsals (usually there are two). You can’t leave the garments at the venue so at the end of rehearsals back to the studio they go. Then they get hauled back for the event itself, but the work doesn’t stop there. On arrival at the event each garment needs steaming and pressing for a professional finish. Only then is it time to dress the models in their outfits. So who does the hauling, the steaming, the pressing and the dressing? Well in this designer’s world, it’s me! 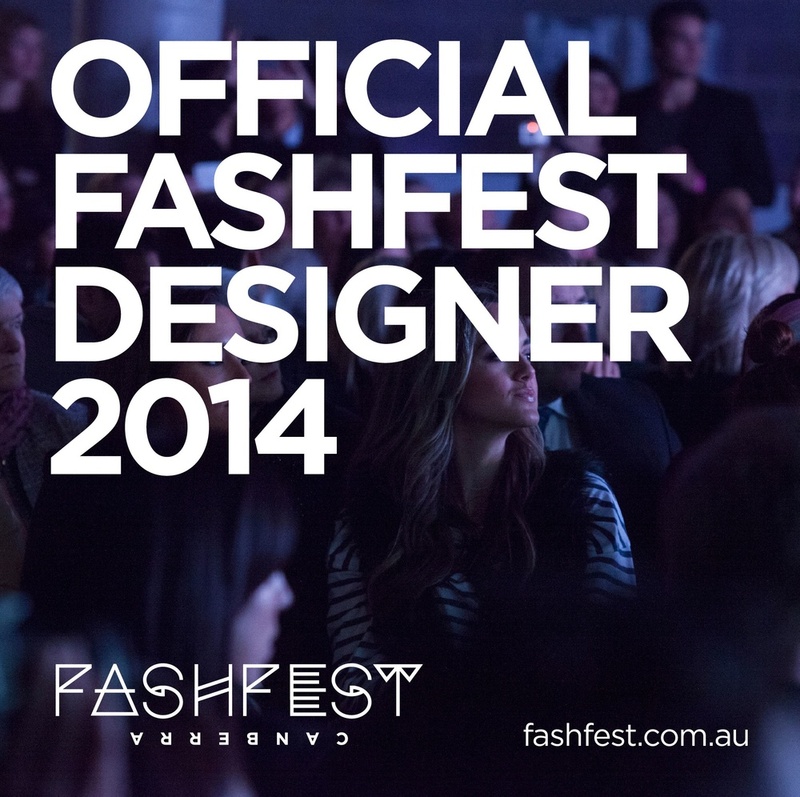 So am I going to have 60 garments at FASHFEST? No I’m not. Will I have great outfits at FASHFEST? Yes I will. Assemblage Project is in a new shop front moving across the road to Shop 66, 30 Lonsdale St, Braddon. The space is very different from the old shop. There are huge windows to outside letting in awesome light. The fabulous display window shows our wares to the world (well all those who pass by). There are no closed doors or back rooms in this fit out. It exposes the designing, the processes to all who are interested. There is no hiding making it a vulnerable space. The space is a true studio/retail space which I have envisioned for years. It will be exciting to see where this leads. Assemblage Project is an official participant in FASHFEST 2015 with the Karen Lee label featuring on the catwalk. There is more to tell but I'll keep that to myself for now - can not give everything away at once. After recovering from the epic FASHFEST event the question is what is next. As always I'm continuing to design (I do not think the process ever stops). The next event for Karen Lee is the Hustle & Scout Market on 5 July from 3pm til 8pm. Looking forward to this ever expanding event and as always there are new designers. As I work on my collection (which is due in a couple of weeks) I have suddenly got the equivalent of writer's block. For three days nothing has worked. Each toile has failed. It is so frustrating. Time ticking is adding to the pressure. The ideas in my head are not translating and morphing into what I envisioned. With each failure I start to question why am I doing this? Is it worth the stress? In the recesses, of what is left of my sanity, I think I know it will be worth it . Working alone I wonder how to get out of what feels like a never ending, spiralling cycle? Should I get out of the studio and loose time. But I loose time because my ideas are not working. What am I trying to do? …trying to create? I realise this is part of the design process. Each failure is not a failure it is part of the journey and is essential in the process of creating. I recently had the opportunity to work with the Canberra photographer Tina Nikolovski. Today Tina's image appeared in the Canberra Times Autumn issue of In the City Magazine on page 26. Last week I had a photoshoot with the photographer Loriana, model Lauren Holland and hair and makeup artist Lauren Catalodo. We shot designs from this summer collection. The shop was used for the shoot which created interest from people walking by. I will post the images soon. Looking forward to seeing them. Thanks ladies for making it so easy.